Jackalope Art Fair information for Pasadena. Parking, cost, location, details. Sign up with your email address to receive news and updates on our upcoming Pasadena Jackalope events. Details: Jackalope Indie Artisan Fair is FREE to attend. This location is open to all ages and is handicap accessible. Leashed pets are welcome. This year, grab bags will be handled in the form of a scavenger hunt! The first 25 people to check in at our information booth both Saturday and Sunday, will get a ticket with instructions on where to snag one from participating artisans! Please, one bag per household. Recipients must be 12 and older. 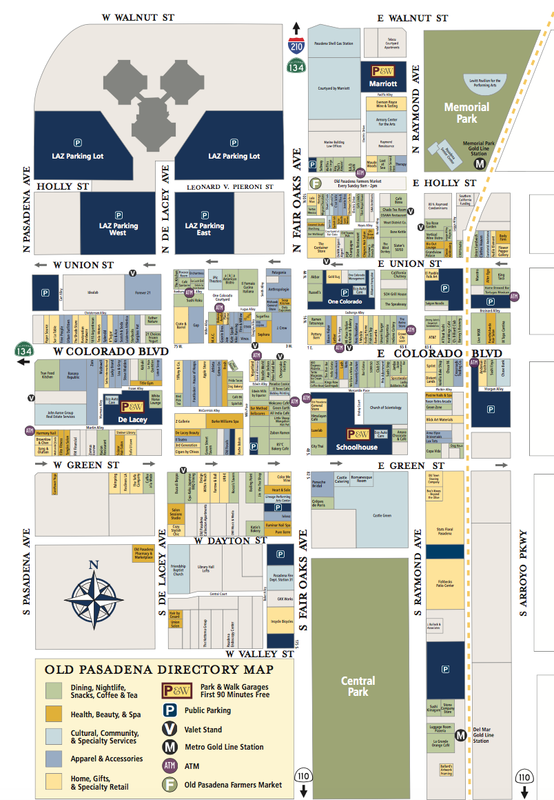 We are proud to be an Old Pasadena Signature Event! Participating Artisans: Click below to view our vendor listing! YogaWorks (All level) - Practice with attention and intention. Our signature YogaWorks class blends precision in alignment with breath awareness and fluid movement for a balanced practice. The class will move through a warm-up and Sun Salutations into strategically sequenced postures, working toward a particular peak pose, or targeting a specific body part. Come prepared to learn how to move your body skillfully and safely on the mat. You'll leave class feeling like you got a satisfying workout for both your body and your mind. When: Saturday, April 27th & Sunday, April 28th from 10:00am-11:00am | See Information booth for location details. This class will be held within Central Park. Details: This class is FREE for attendees and is outside so please come prepared. Participants should bring their own mat. Registration: All participants who pre-register for the class with us will receive a $5 Jackalope gift card to shop at the fair. Gift cards will be administered after class completion. One gift card per participant. Learn the art of glass making with Bullseye while watching demonstrations and interaction. Everyone loves a photo booth! Grab a prop and strike a pose. Learn the fun of hula hooping while carving out that new six pack. Our roaming musicians will perform throughout the fair in designated areas. Please see information booth for location details. You can’t buy love, but you can rescue it! PHS will be bringing the Wiggle Waggle Waggin on Saturday, bringing animals that will be up for adoption, so add a furry friend to your clan! Check out our assortment of tasty treats that will join us at the fair! Artisan Listing Coming Soon. You can also check out the Old Pasadena Area surrounding Central Park. Downtown Pasadena is home to hundreds of diverse restaurants, from quick bites on the go, to charming outdoor cafés, and even award-winning fine dining. There’s something for everyone! Jackalope Pasadena is located at 275 S Raymond Ave., in Pasadena, California. Take the Metro Gold Line to Del Mar Station, head north toward S. Raymond Ave., Central Park is only a 2 minute walk away! Plan your best route using the Trip Planner on metro.net. As shown in the above map, there are several options for nearby parking. The closest parking is directly across the street, East from the park, on Raymond Avenue, as well as on S Fair Oaks Avenue to the West. The parking lot adjacent to Stats/Fishbecks will be available for guest parking for $5. Free 90 minute parking is available all "Park and Walk" structures in Old Town. The closest park and walk is located in the "Schoolhouse" structure on E Green St between S Fair Oaks Ave and S Raymond Ave.